Welcome to our fifth installment in our Transformation Tuesday series! 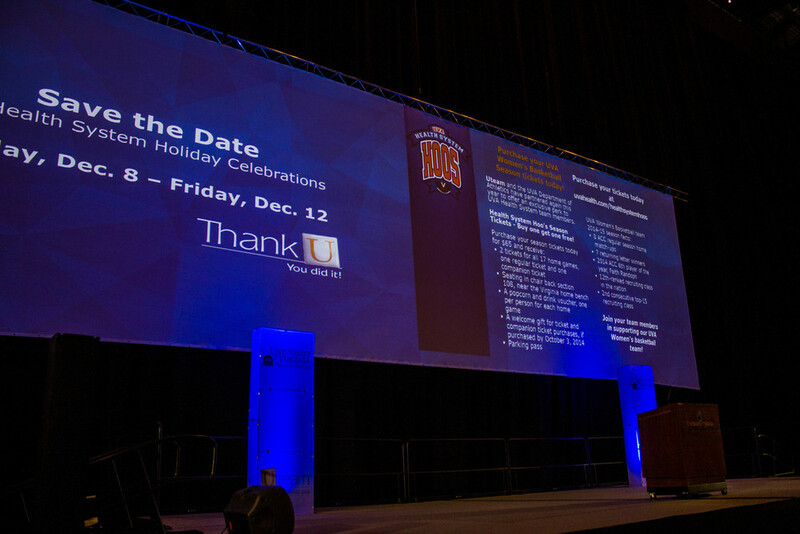 This week we'll be looking at an event that we recently completed at the John Paul Jones Arena. 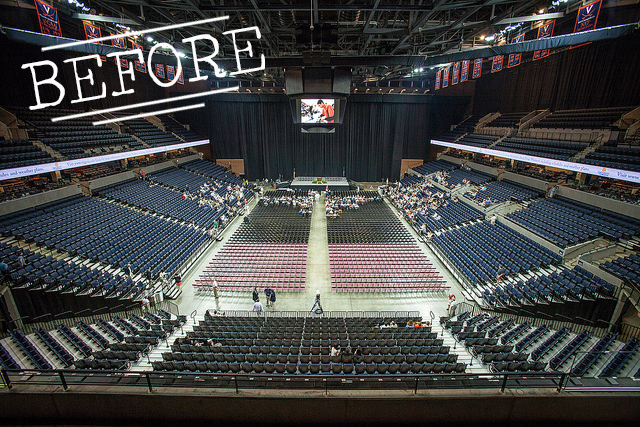 Since it opened in 2006, the venue has been home to the Virginia Cavaliers basketball teams, and has hosted countless concerts and other events. It has seating for over 14,000 people, and is the largest indoor arena in Virginia. 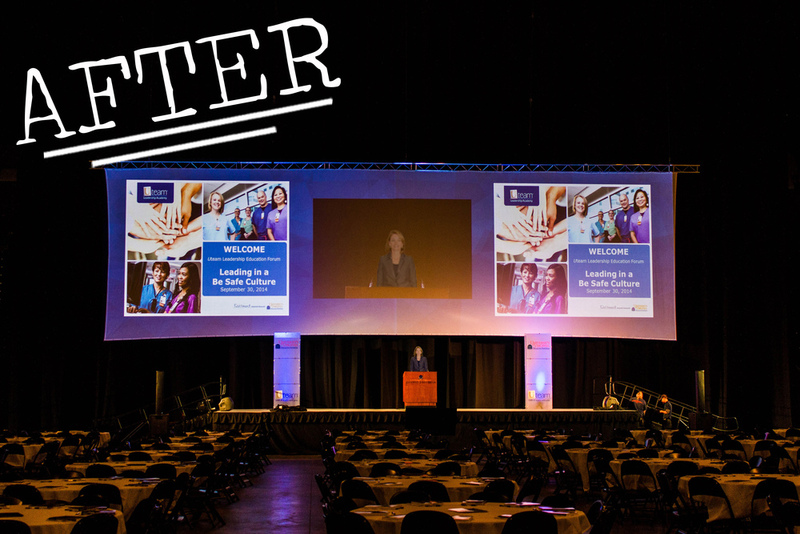 For this leadership conference, we wanted to use a large projection screen to accomplish all of the event's visual needs! We needed it to fill the roles of a decorative backdrop, a presentation platform, and a visual aide for audience members throughout the arena. Take a look at how we use projection to turn this versatile screen into decor, without sacrificing presentation content or clarity! Using multi-window capabilities, we are able to maintain precise control over the content shown, be it an overall pattern, layered images, or a picture-in-picture video stream. These are just some of the exciting new things happening in our world. To keep up with the latest and greatest in Healthcare AV you can follow the magazine on Twitter @HealthcareAV (be sure to follow us too while you're at it @TheAVCompany).